Chelsea 2013: Let the Show Begin! The shop windows of Sloane Square are decorated with flowers, Alan Titchmarsh has been applying the Grecian 2000 and the weather’s set to be cool and wet. It can only be time for The Chelsea Flower Show. The Queen kicks off proceedings tomorrow for the 49th time and clearly loves every minute of her annual visit. The show then welcomes RHS members on Tuesday and Wednesday and the general public from Thursday to Saturday. 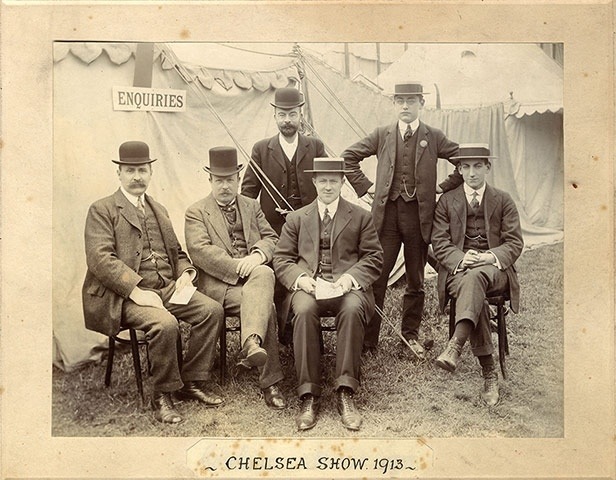 This is no ordinary year for Chelsea, which celebrates its centenary in 2013. Back in 1913, when the show first moved to the grounds of The Royal Hospital, Britain lead the world in horticulture and boasted the richest gardens on the planet. Plant collectors scoured the world searching for new species to please their private clients and botanists at Kew and the RHS. The nursery industry was flourishing and gardening was becoming popular with the masses, both in suburban gardens and public parks. 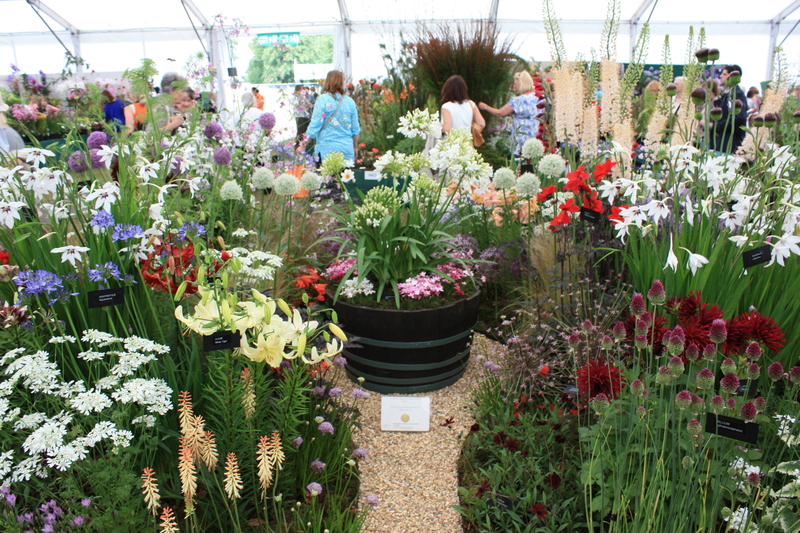 It was only fitting that a show with the ambition of Chelsea was staged to celebrate the nation’s horticultural achievements. Wind the clock forward 100 years and Britain is not the same place. The nursery industry has declined and many public parks struggle to find a modern purpose. Larger suburban gardens have been sold off to developers and the front garden has become somewhere to park a fleet of cars, not show off your gardening prowess to the neighbours. Yet we are still a nation of garden lovers and shows like Chelsea have never been more popular. This year’s event sold out in record time, with punters paying £55 for an all day ticket. 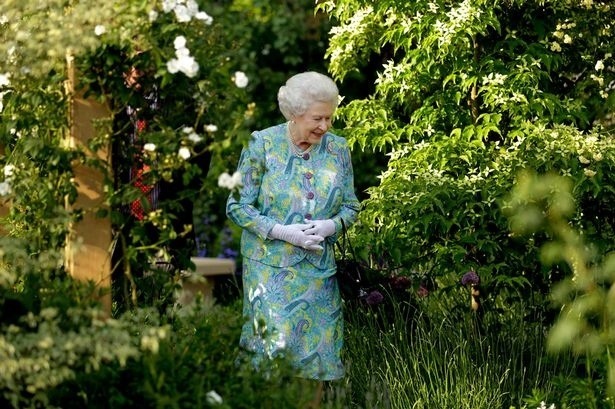 Incredibly, three nurseries have shown at Chelsea in every one of its 100 years. The first is Blackmore and Langdon, based near Bath and famed for its immaculate displays of delphiniums and begonias. Next comes Kelways of Langport, growers of historic and modern peonies and irises. Last, but not least, McBean’s Orchids plan to recreate their first ever exhibit. 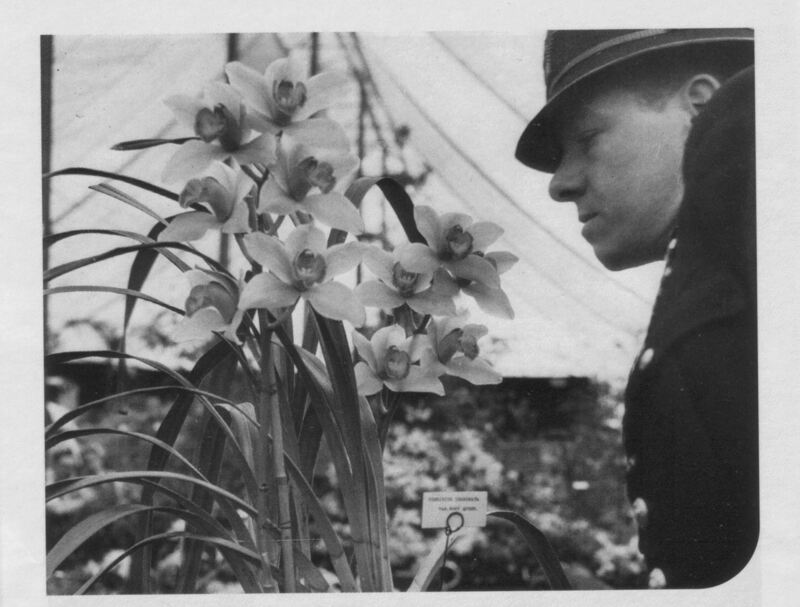 In 1913 it took ten men eight days to build the stand, using 1000 orchids from seven different genera. This year 9 genera will feature, but will take only 3 men 3 days. Other nurseries I’ll be keeping an eye out for are those that benefit from a large portion of my disposable income, including Avon Bulbs from Somerset, specialists in all kinds of bulbs and bound to put on a good show. Burncoose and Trewidden, both fabulous Cornish nurseries, will no doubt tempt me to buy yet more little gems that I scarcely have room for. At least this year I have the excuse that I’m working on our London garden, for which I do need a good selection of drought tolerant shade lovers. Then there are the stands I can merely ogle at, including David Austin with his wonderful roses, Raymond Evison with bowers of jewel coloured twining clematis, Bowden’s with luxuriant hostas in huge variety and Crûg Farm Plants, guaranteed to be showing something new and exciting every time. 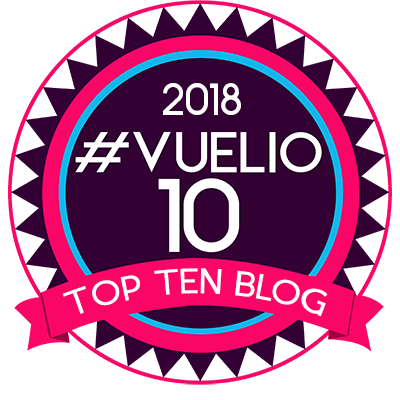 Good luck to everyone – I hope it’s golds all round. Keep checking back all through the week for more Chelsea highlights, including Plant of the Year and the famous show gardens. On Wednesday 22nd The Frustrated Gardener will be there in person, doing battle with the blue rinses and hopefully getting to the front of the scrum for some top pictures! it is my dream to go see the chelsea garden fair sometime. You must! It’s quite a spectacle. More words and pictures coming throughout this week to whet your appetite. The Chelsea Flower Show it’s such an amazing event! I hope to be able to participate sometime. Until then, thanks for sharing.